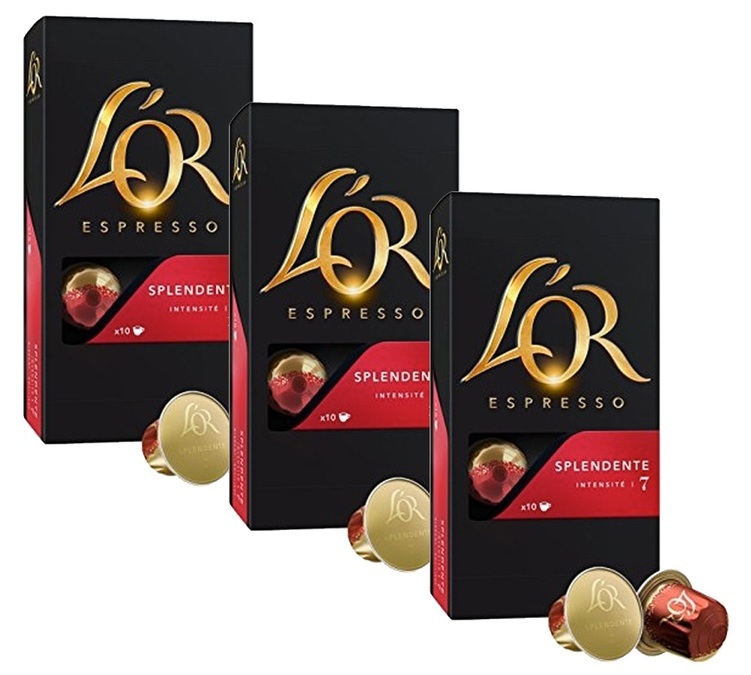 Discover Splendente capsules by l'Or Espresso, compatible with Nespresso machines, This espresso reveals hazelnut and citrus notes. 3 boxes of 10 capsules. Discover a wide range of quality coffees from L'OR Maison du Café : Coffee beans, Tassimo T-discs, etc. An institution that needs no introduction in the coffee industry. Ideal gift for lovers of coffee with a kick !